Is menstruation a sin ? 9 January 2019 No Comments on Is menstruation a sin ? I would like to share with all readers some sad realities that young girls live on a daily basis, which stem from the occurrence of menstruation. 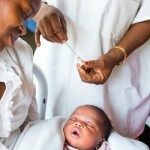 Hugues, a young reporter from eastern DRC, insisted on talking about immunization, a special issue for him. Discover why. 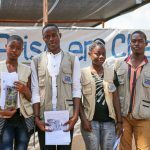 Young reporters – our field survey about the issue of cholera in Mbandaka and it’s consequences ont the survival of the children that we are. 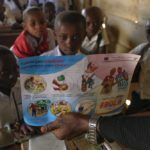 A team of Young Reporters from Lubumbashi brings us the story of an immunization campaign against measles in the aftermath of the mid-2015 outbreak. 20 August 2015 No Comments on Breastfeeding is everybody’s business! 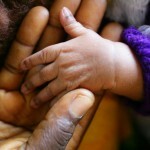 Hugues is a Young Reporter who’s particularly engaged in fighting child malnutrition, in particular in his South Kivu Province. If you’d like to learn more about this significant problem, Hugues has a lot of things to explain to you! 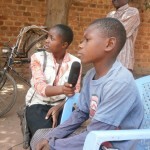 Hugues, young reporter, tells us about the advantages of family planning. Find out what his arguments are! 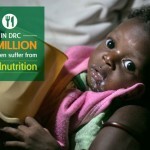 2 million children are severely malnourished in the Democratic Republic of Congo. Déo, a young reporter from Bandundu, shares about this situation in his region.